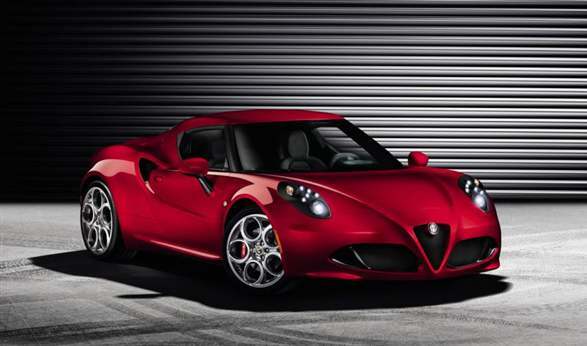 Photos of a fair few cars that are scheduled to be introduced at next month’s Geneva Motor Show have been surfacing on the internet over the last few days, and one of them that we are particularly excited about is the Alfa Romeo 4C. It is a sports car which marks the start of Alfa’s new growth strategy and it marks the brand’s return to the American market. Thankfully it has stayed pretty true to its concept counterpart (which debuted in 2011) and it is looking good. It will feature a mid-mounted 1.7-litre four-cylinder turbocharged petrol engine which will supply the lightweight vehicle with 275bhp allowing the car to do 0-62mph in 4.5 seconds. It is set to go on sale soon after the Geneva Motor Show as a rival of the Porsche Cayman, with its price starting around the £40,000 mark. With that in mind a used Alfa Romeo may sound more attractive, as £40,000 is pretty expensive, and as it’s an Alfa, you will probably have to shell out on servicing costs as well. For more information on any Alfa Romeos check out www.alfacarreviews.co.uk.